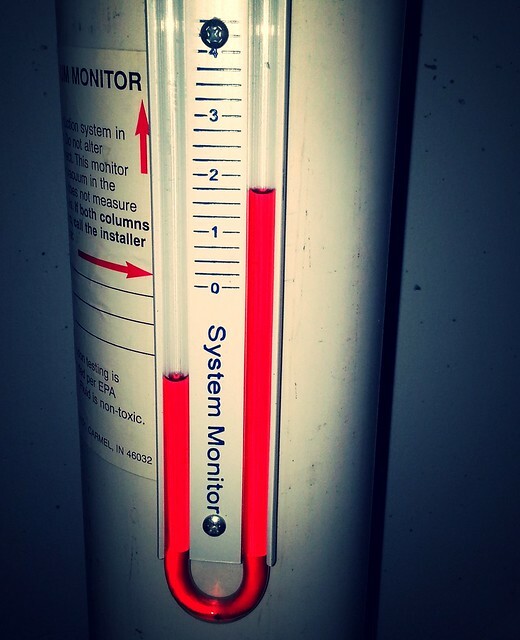 This is a vacuum gauge showing the radon mitigation system is functioning. These are the radon test results from the same house. Due diligence tip: Just because the radon fan is generating vacuum doesn't mean the system is actually working. The EPA recommends mitigation for radon levels above 4.0 pCi/L. This house has radon levels of 9.5 pCi/L. 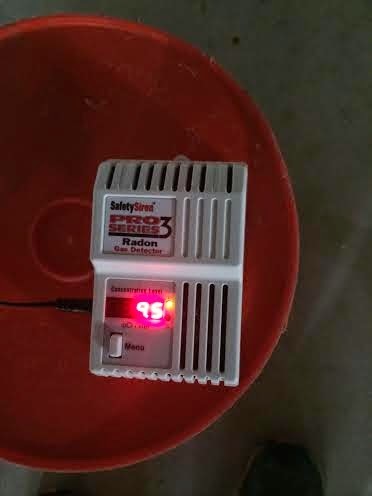 You can have your inspector test the radon level or you can buy a radon tester that you leave plugged to continuously monitor radon levels (with an alarm) for about the same cost. Either way, have the radon level tested - even if the property already has a mitigation system. In this case, the seller removed the membrane from the crawl space because it was torn. No, it wasn't disclosed. Yes, they're paying to have it fixed. p.s. Don't trust the seller's property disclosure. There's a reason I call it the document where the seller lies about everything they know about the house.